We set out in our Jeep – Sgt. Hodgkins, on motorcycle and Slim and I in the jeep – the Padre (Smith) and Fred Ware in the jeep following us. We start down the face of the crest and are subjected to mortar fire. One mortar falls in the road about 40 feet ahead but causes no trouble. We proceed up the valley – cross the detour which the Engineers have constructed and ascend the escarpment towards San Leonardo – pull off the side of the road where two Calgary Tanks have been mined. 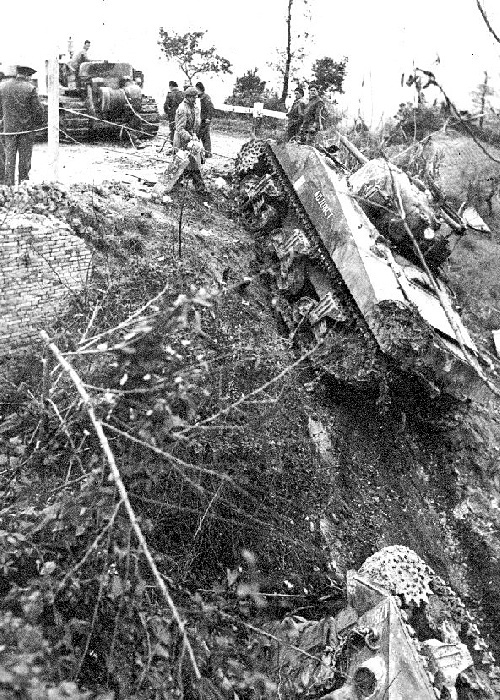 One Ontario Tank backs up, striking a mine and seriously wounded Slim, Sgt. Hodgkins and Fred Ware and one Ontario boy. We attend them, load them on the jeep ambulance and rush them back across the valley of the Moro to the Car Post, which I have established on top of the crest, by the rest of my section. Some German prisoners are wounded by one of their own shells and one of my boys Jack Carter goes to help him and is himself wounded. I have been alone in regt. with only the Padre to help me. Jerry shells our line very heavily, hitting several PPCLI which we look after and evacuate. Then a most terrific barrage sets in – we jump into a ditch and I am wounded in the right ankle by shrapnel. I am able to carry on though for a while. Bruce Hunter and Bert Rutledge pull up and their RAP and we set up together. 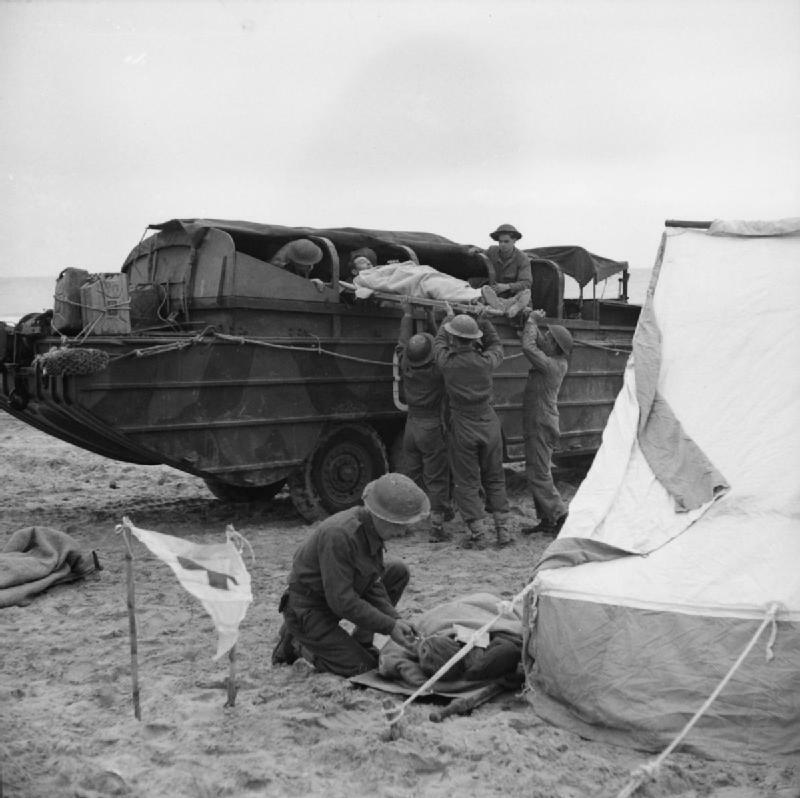 In the evening we get called forward to San Leonardo to evacuate a wounded Seaforth. In this Town a few minutes before, the troops had been forced to evacuate due to heavy shell fire. It was perfectly quiet when we were in. On return to RAP my ankle is so painful I am forced to give in and the Padre drives me into M.D.S. #2, 2nd L.F.H. at Marino San Vito, where the tentative diagnosis is fractured Fibula and I am placed in a cast and put to bed. 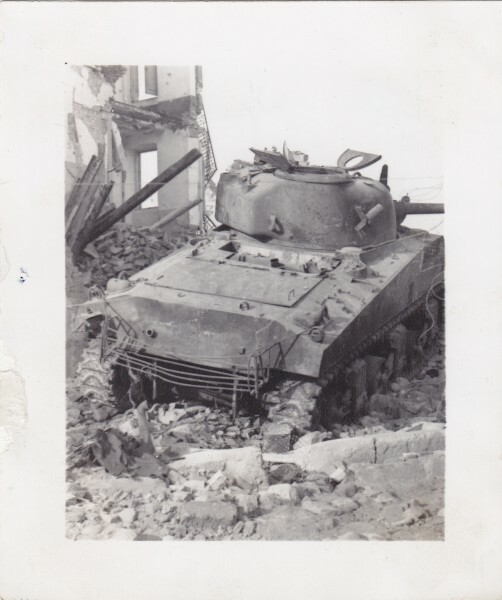 Dec. 7 – Some English tanks get across the Moro River and in to the Town of La Torre last night. We are standing to (6:30 a.m.) expecting to go up and cross the Moro R. at St. Leonardo. I have organized a fording party which I may have to use. The weather has cleared this morning. Moved at 11 a.m. – through San Vito, a very pretty drive. From the town we could see Ortona about ten kilos apart. Crossed the bridge of a tiny stream under shell fire. One shell landed in Calgary convoy behind us. We went into harbour on a ridge about two miles from the Moro River (A remarkable live broadcast with CBC Radio of the battle). Jerry opened up on us, wounding three and tearing a few holes in my jeep. This is rather a hot spot. 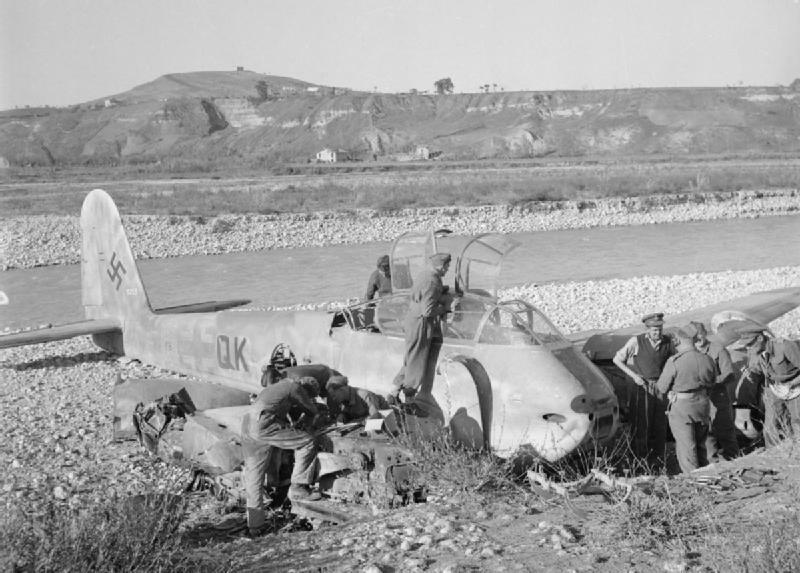 A Sherman tank from The British Columbia Dragoons crossing the Moro River, Italy, December 1943. Bernard Finestone. The Memory Project. Finished second inoculation this a.m. We are on 1/2 hour notice – A and F 2nd Can Bde and 4th Armoured Bde attacking Ortonoa and bridge over Moro River. 14th being relieved by R.T.R. We go under command 1st Can. Div. – our roles is the spear head of the drive from the Ortona Road to the Pescara Rd. It seems to be settling down for a heavy rain, so this advance may become very difficult. 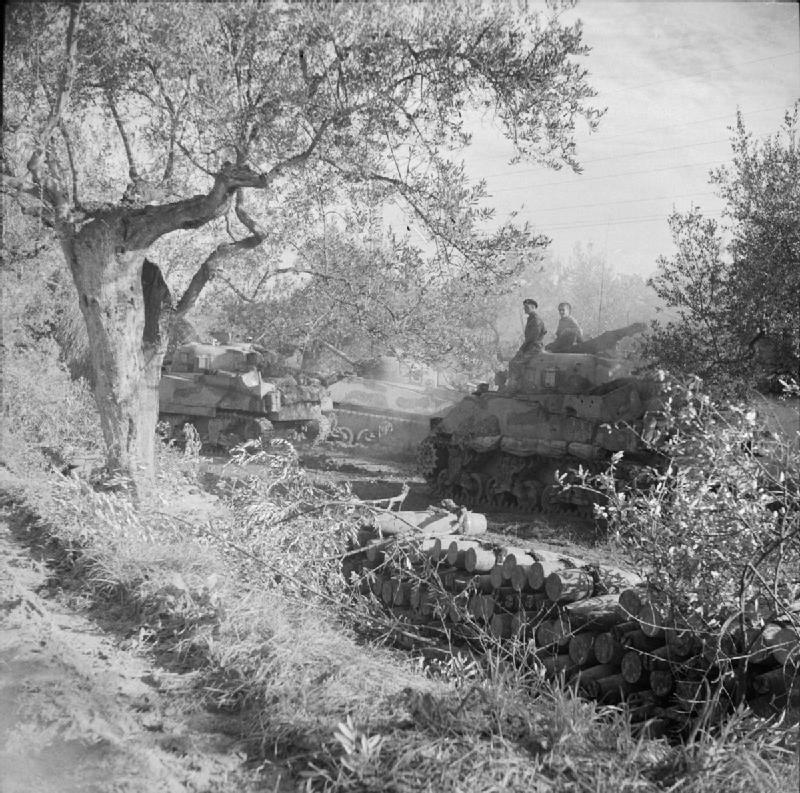 The Sangro River November 1943: Sherman tanks of the 3rd County of London Yeomanry near Torino di Sangro prepare to move up to the River Sangro. In the foreground is a pile of 4.5 inch shells waiting to be used in the artillery barrage in support of the assault. 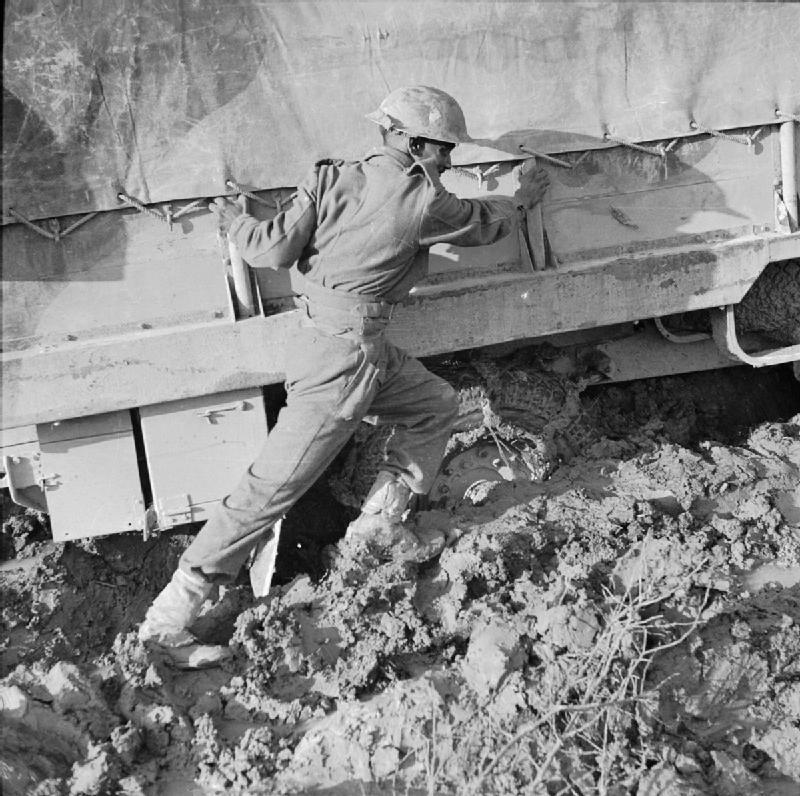 Dec. 4 – San Vito and Lanciano have both fallen – heavy artillery is pouring across the Sangro River in preparation for the attack on the line running from Ortona on the Adriatic to Guardiagrele. I expect after that is taken, we attack in the Chieti Pescara line – thus cutting the main lateral road to Rome. Dec. 5 – The Sangro has flooded, washing all the bridges out – supplies are coming over in Ducks. The 14th are in action in front of Friso – helping to put the infantry over the Moro River. Inoculated “C” Squadron today. Move today at 1 p.m. – seven miles, which really took us ahead two and one half miles north. We are now about one mile north of Lanciano. Two air raids today. Fairly close, but no damage done. We have a good harbour in another olive grove and are very comfortable. The Sangro River in Flood. Bailey Bridge Washed Away.